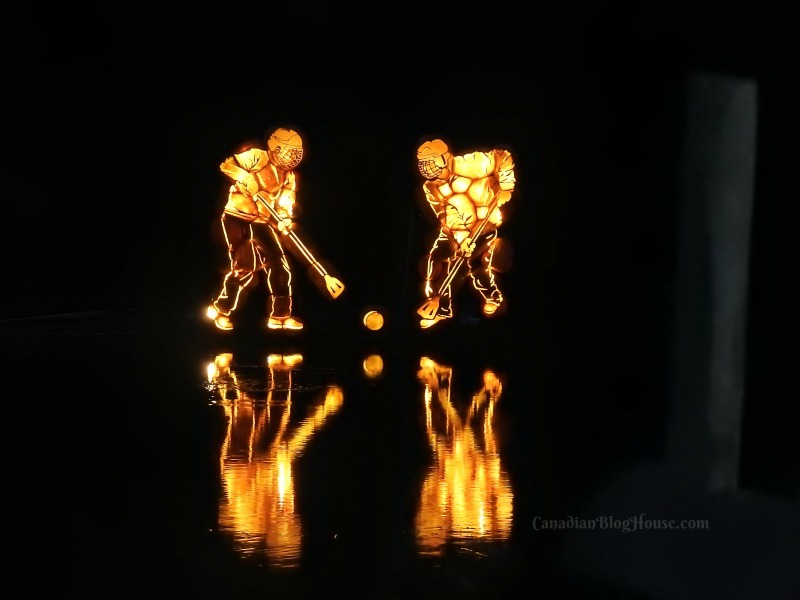 Canadian Blog House was invited by Ottawa Tourism to come explore Pumpkinferno, an incredible one-kilometre Halloween path featuring 7,000 handcrafted pumpkins depicting a variety of themes. All opinions are our own. 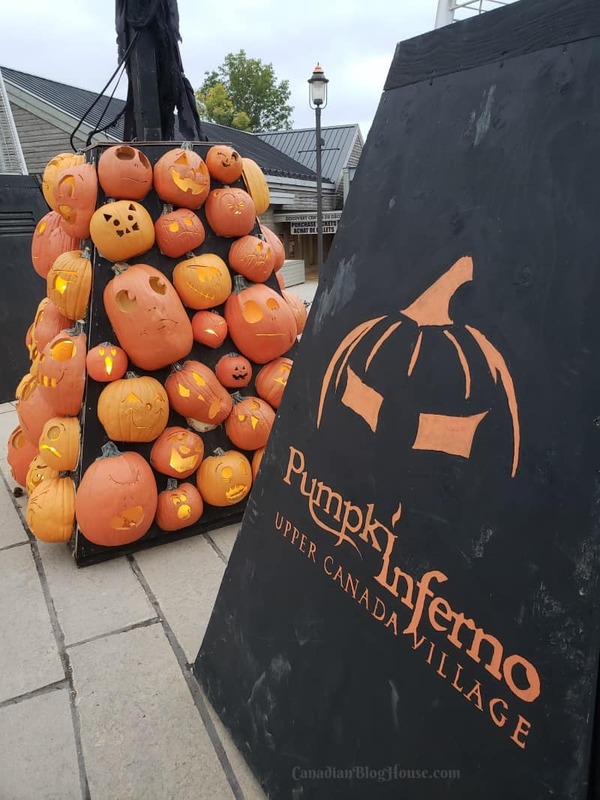 Pumpkinferno, the magical fall event at Upper Canada Village in Morrisburg, Ontario, featuring 7,000 handcrafted pumpkins, opened its doors to the public this past weekend for the 2018 season. 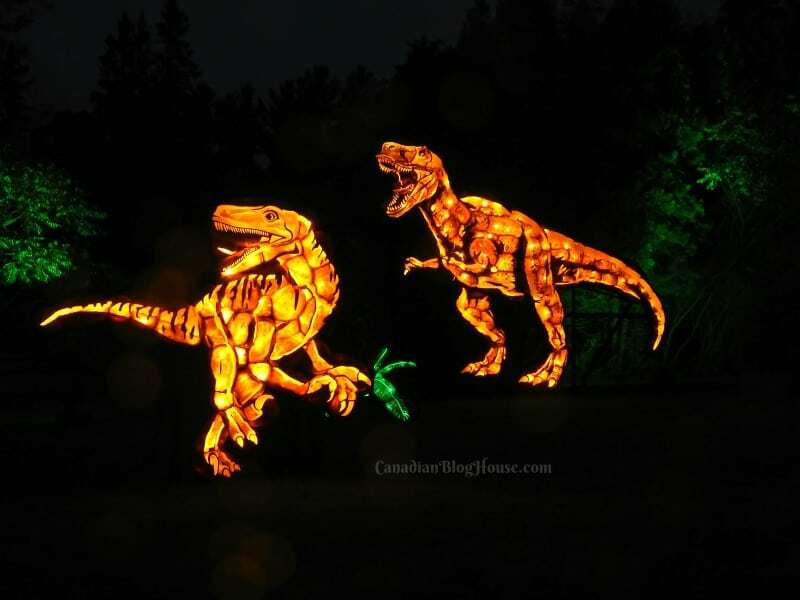 This year, Pumpkinferno runs from September 28th to October 28th (Thursdays to Sundays). Thanks to Ottawa Tourism, I was able to visit this “spooktacular” nighttime outdoor event on opening weekend, for a sneak peek of all the fabulous Pumpkinferno displays. It took us just over an hour to get to Pumpkinferno at Upper Canada Village (part of the Parks Of St. Lawrence family) from downtown Ottawa, which makes this a perfect road trip from the National Capital Region. 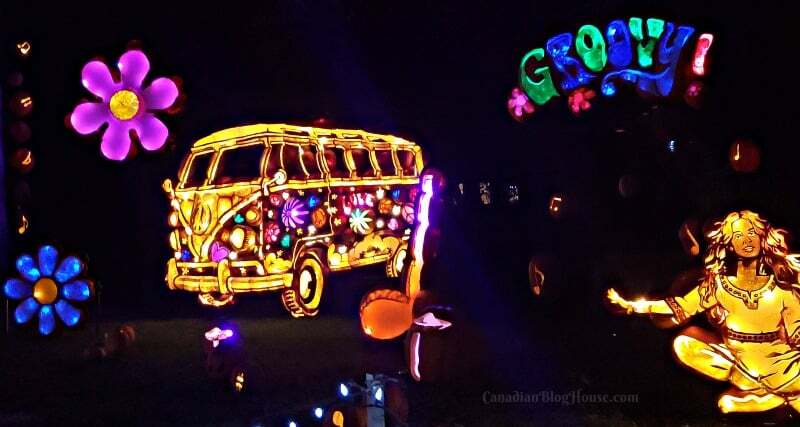 In fact, Pumpkinferno’s location in Morrisburg makes it perfectly suitable for a road trip from Kingston, Brockville, Cornwall – and all points in between! If you would prefer to extend your trip to the area, and enjoy an overnight getaway, both Morrisburg and Cornwall offer nearby accommodation options. 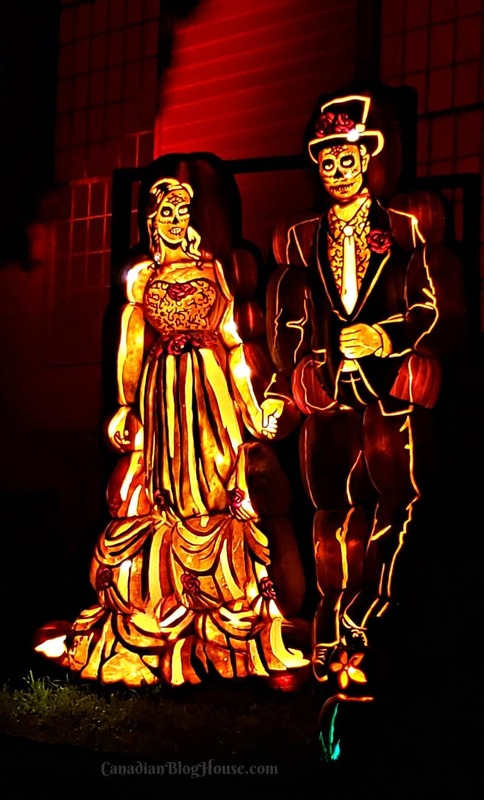 Never heard of Pumpkinferno? You’re not alone! I’m embarrassed to say that I had never heard of this wonderful family-friendly event until I was invited on this tour. If I had to choose which of the displays I enjoyed the most at Pumpkinferno, two of my favourites would be Creatures Of The Current and Steampunk Station. Pumpkinferno is a self-guided tour, so you can explore this one-kilometre path at your leisure. Take a moment to check out all those great pumpkin faces! In addition to visiting all the exhibits, be sure to take some time to enjoy Pumpkin Park. Here you can take part in various activities such as Pumpkinferno-themed photo ops, Shadow Scream, Pumpkin Toss, and much more. 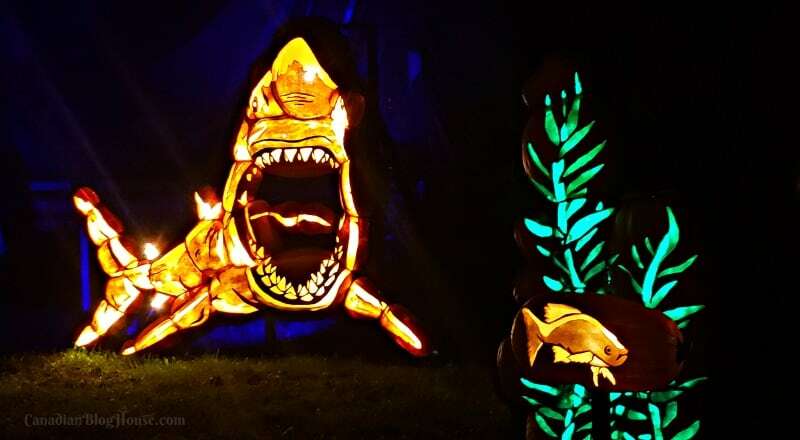 At Pumpkin Park you will also find the Pumpkinferno Free! Wifi Zone…a great place for sharing some of your photo ops on social media (don’t forget to use hashtag #Pumpkinferno!). For those wishing to seek a little pumpkin “shell-ter” from the cool Fall air along the way, Cafe Inferno is a great place to stop. Here you can enjoy “Eerie Entrees, Bewitching Beverages, and Deadly Desserts” (the pumpkin pie and poutine looked particularly tasty!). 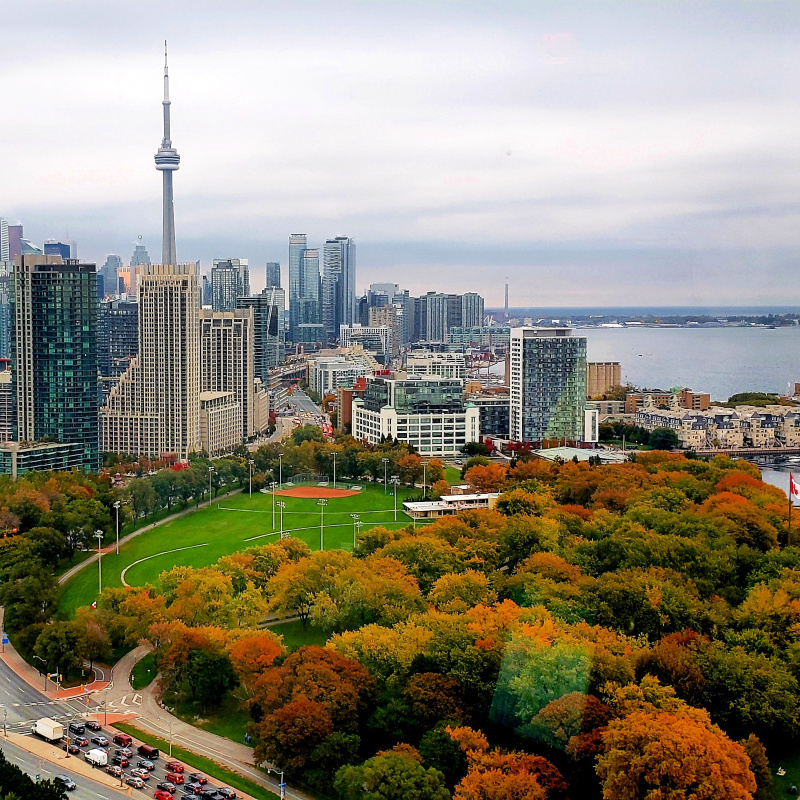 For those wishing to enjoy their Pumpkinferno experience even more, you can reserve an early pre-tour dinner at Willard’s Hotel or the Harvest Barn. 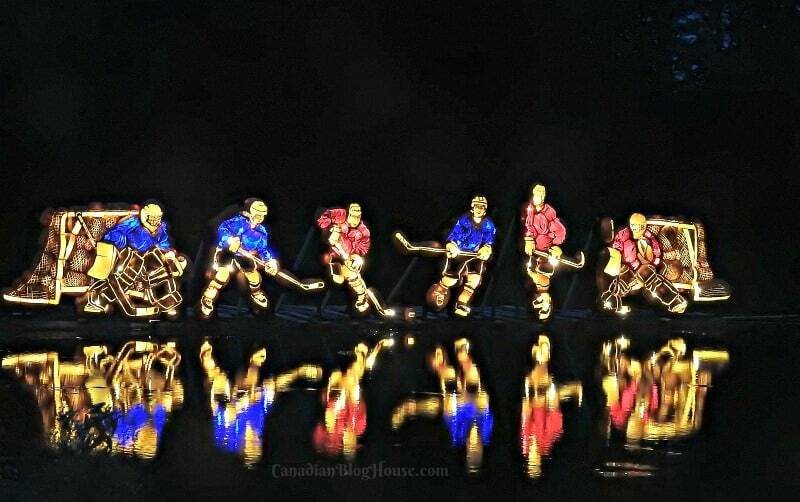 The way in which the designers and artists bring Pumpkinferno to life is incredible. If you look closely at the photo above, you can see the outline of the handcrafted pumpkins that make up the ghouls. Such details in the carvings! Be sure to wear comfortable outdoor footwear for your walk at Pumpkinferno. You’ll want footwear that keeps your toes warm in cooler weather, and keeps you steady on your feet. Your eyes will be focused on all the amazing things going on around you so, ladies, this is not the place to wear your heels! 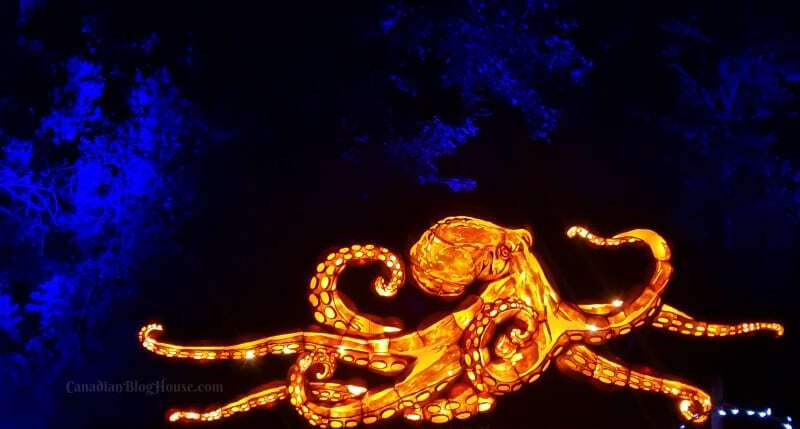 You’ll never know what you’ll discover around you at Pumpkinferno. Keep your eyes peeled to the ground, in front of you, and even up into the trees…where you just might see an astronaut! Like the passenger at Steampunk Station, hurry and book your tickets to Pumpkinferno 2018 now! 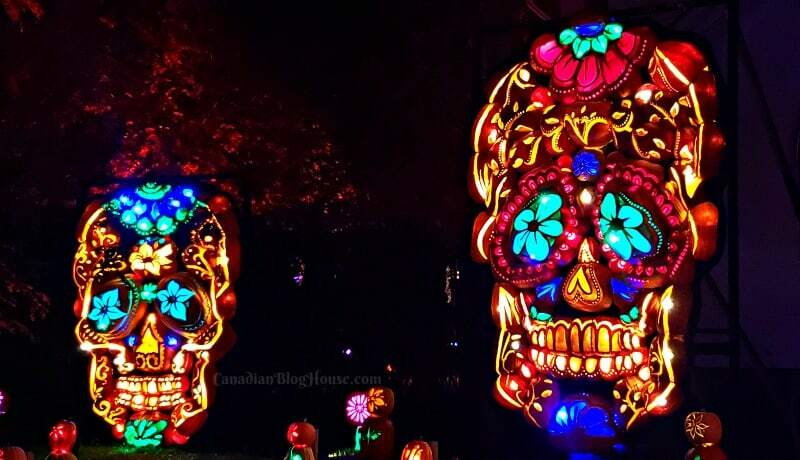 Have you ever been to Pumpkinferno? 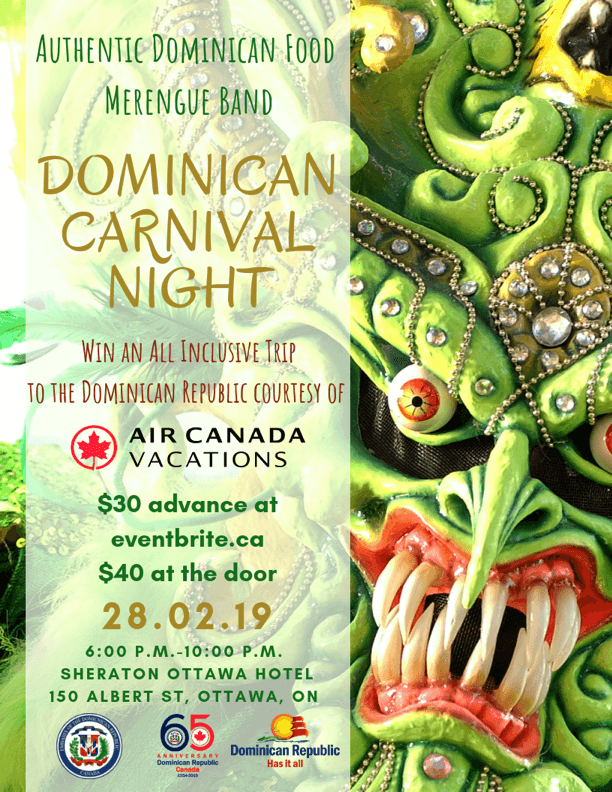 What’s your favourite thing about this annual event? Tell us in the comments below! ***Special thanks to Sofie from Ottawa Tourism for coordinating this great road trip! Looks like kids would love it. Most definitely, Lyse! All the kids I saw there were having a great time. Thanks for reading! Wow this looks fantastic. And I have never heard of Pumpkinferno before either. Might try and get there for an overnight stay. Thanks Sandy.